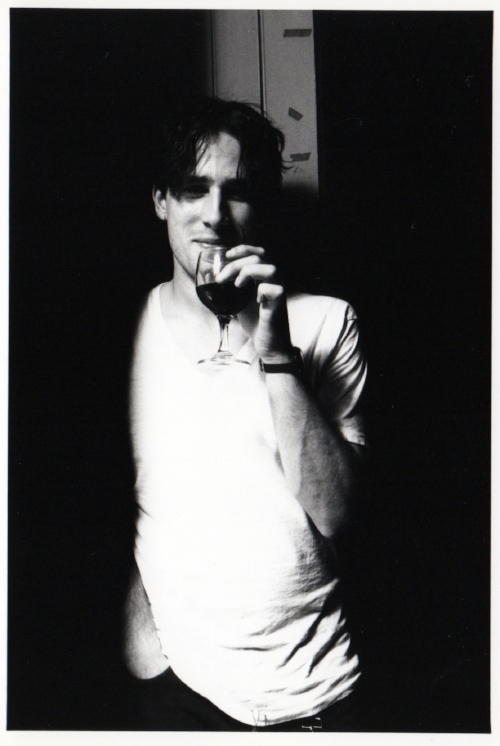 THERE are few musicians I love more than Jeff Buckley. 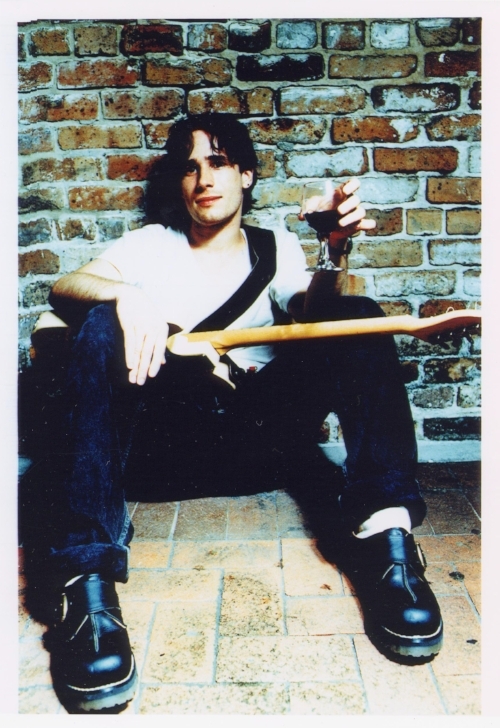 In any case; one of the reasons I hold Jeff Buckley in a special place in my heart is that honesty and warmth he gave. There was no ego and the need to hold back. Listen to any of his interviews and you are greeted by that soft voice and knee-buckling sound. He often flirted with the camera and pouted; sometimes he was shy and cool – at others, he would be quite angry or baffled. Maybe there was an air of playing up to expectations and projecting a more mysterious version of himself but listen to the way he talks and projects and you get a pure and beguiling artist who just wanted to make music and not be subjected to the glare of the media. I guess you cannot be a musician, at any age, and escape the rumours and endless demands. There is one reason why Jeff Buckley will always be in the news: his incredible debut album, Grace. Technically, it is his only studio record – he was starting work on his follow-up but died before completing it – and stands as one of the greatest records ever. Every time I interview an artist and ask for their influences; you always get a nice mixture of names. Jeff Buckley’s Grace is the album that, time and time again, keeps coming up. I am not surprised Grace continues to compel musicians some twenty-four years after its release. Released through Columbia on 23rd August, 1994; Grace was an unusual album that did not fare too well. There were some good reviews but sales were pretty poor. 1994 was a year when gritty and bombastic albums were gaining the most critical acclaim. From Oasis’ Definitely Maybe and Blur’s Parklife to Hole’s Live Through This and Soundgarden’s Superunknown; Manic Street Preachers’ The Holy Bible and Portishead’s Dummy – it is, perhaps, music’s finest year but one where something harder and more ‘exciting’ was being favoured. Perhaps it was the transition from Grunge and the reaction to changing tastes; perhaps the role of the sensitive singer-songwriter was limited and ahead of its time. Tori Amos released Under the Pink in the same year but there was something strange and dark enough to impress the public and fit into the scene. Grace was the outsider that provided alternatives and options for those seeking something more sensual, emotional and tender. Buckley, on the album, showed plenty of passion and intensity in certain songs – Grace and Eternal Life – but it is the range of moods and extraordinary songwriting that, for some reason, evaded critical love. One need only look at Grace’s cover to realise what you were in store for: a brooding hero whose mystique and beauty would infuse every note of the album. I feel the lack of genuine Rock bands and a solidified, central music movement – like Britpop – means the landscape is more varied and less cohesive. One cannot identify a particular taste and preference in today’s music. If 1994 was defined by its Britpop wars and brilliant American guitar music; today, there is nothing definitive and identifiable that artists can use as a guide. Buckley was not going to compromise and make something Nirvana-like or Pavement-sounding. He was outside the Grunge/Alternative nucleus and, instead, was taking guidance from artists like Joni Mitchell and Edith Piaf when creating his debut. Look at documentaries made regarding Grace and you get to see Buckley and his band entering the Woodstock space and all the magic coming together. Personnel and commentators noted how Buckley knew exactly what he wanted from his music and would often throw in strings and unconventional sounds to elevate a track. Many artists would play it safe or follow the scene: Buckley was an innovator and curious musician who wanted the music to stand out and was true to who he was. There are subtle shifts and turns but it all adds to a majestic and era-defining album. From the rush and ecstatic power of Grace – a song about true love and not fearing mortality – to the weaving and wordless runs of Mojo Pin; the heartache and loss of Last Goodbye and the fantastic cover versions (including Lilac Wine); it is a banquet of brilliance and wonder that could not have come from any other artist. I will talk about the legacy of Hallelujah but I have sort of side-stepped my original question. The reason so many modern artists are discovering and name-checking Grace is the role of more sensitive and evocative songwriting. Maybe the changing role of masculinity and the male singer-songwriter means there is greater room for an album like Grace. 1994 was a bad year for a tender and richly textured L.P. With the likes of Oasis and Soundgarden claiming big focus; Jeff Buckley delivered this terrific debut album that had nothing in common with its peers. Maybe it would have fared better in the 1960s and 1970s but it took a while for the music world to open its eyes to Buckley’s brilliance and voice. Today, there are a lot more albums like Grace and one can attribute that opening to Jeff Buckley. Artists are less afraid of being sensitive and exploring different areas of music. Whereas, back in 1994, bands were more popular than singer-songwriters; today, that balance has shifted and I wonder what would happen if Grace had been released today. “There is no replacement for the kind of singing Buckley does on Grace. It has an uncanny ability to summon memories of loss, a quality that’s almost intrinsic to its sound. But it’s also an instrument of blunt force, every high note finding the frequency of heartbreak, articulating how love feels at its most devastating. IN THIS PHOTO: Jeff Buckley with Nusrat Fateh Ali Khan, in New York, in 1995: Buckley called the Pakistani legend "My Elvis"
Yet for all the power contained within his voice, Buckley’s presence as a songwriter is the real reason why Grace endures. There was an almost magical innocence to Buckley; in interviews, he answered questions with soft, dreamlike speeches, and he was known for carrying around a sketchbook brimming with doodles and poems (many of which would later evolve into songs). He cared about music — both listening to and making it — with a fierce conviction utterly at odds with the slackerdom of his generation. This rare blend of innocence and intensity characterizes every scrap of music Buckley produced in his short career, from his grandest compositions to his barest demos. We know this because, in the more than two decades since Grace was released, countless covers and demos have been dug out of the corners of Buckley’s career. In all of these posthumous releases — including the recent You and I — he can be heard finding his way as an artist, searching for his own sound through the music of his heroes. As enjoyable as these collections are, none can quite recreate the synergy that happened on Grace. It’s an album that Buckley crafted with passion, and it encapsulates everything that made his musical style so special. Some of the musicians and artists who worked alongside him in the studio still grapple with how Grace came to fruition”. I agree with everything written there but would suggest post-Grace recordings are worth a look. From the songs on SKETCHES for My Sweetheart the Drunk – Buckley’s second album was to be called My Sweetheart the Drunk but he drowned as the band flew out to meet him and record – and his live albums; there is so much material that gives you a complete impression of the man and master. Maybe Grace is his defining statement but it is not the only thing Jeff Buckley put out into the world. Many people associate him with one album and, in many cases, a single song. Hallelujah has been much-covered since Buckley’s definitive version of the Leonard Cohen track (which he released in 1983) but it has never been equalled. The track is the mixture of everything Jeff Buckley was about. Every emotion and ember of his being went into making that song what it is and, as such, I argue there has not been a pure and transcendent like it. It is a sensational delivery that makes you shiver and takes you somewhere special. Even if the remainder of Grace were weak and inferior, many would still hold the album up as a treasure. The fact there are so many wondrous moments in the album makes it astonishing critics missed the boat in 1994. It is also no shock to see the record making an impact and finding fresh eyes twenty-four years after its release. “As with Tupac Shakur, the posthumous myth is often much different to what happened when Buckley was actually still around. In terms of assessing Buckley’s work, all roads lead to Grace, the document that he gave us in August 1994. He had made various statements of intent before then: he had played in experimental rock combo Gods and Monsters with Gary Lucas, before striking out for solo turns in New York’s cafes and coffee houses, which produced the Live at Sin-é EP. But Grace was the big calling card. The recording emphasised his vision for emotionally driven rock music with sweeping string arrangements. Aside from some cathartic, lovely original tracks, his debut also featured that mesmeric version of Leonard Cohen’s Hallelujah, a beautiful take on Nina Simone’s Lilac Wine, and a stunning ambient, choral version of Benjamin Britten’s Corpus Christi Carol. The album was a sign that Buckley was on the way to much greater things”. So many people are coming into music because of Grace and what Jeff Buckley gave to the world. It is a record that never ages and is never too personal: everyone can understand what it is about and relate to the lyrics. The musicianship and incredible nuance mean even those who experienced the album first time are picking up on new things! HE will never leave our hearts.